What Would Jesus Undo? - Week Five: "Indifference"
Today is the Fifth Sunday of the season of Lent, one of the most sacred seasons in the historic calendar of the Church. The word Lent comes from the Latin word for forty. Practically speaking Lent is the roughly forty days from Ash Wednesday to Easter. But the season of Lent is also a spiritual as well as a temporal journey. As Christians, we believe that we are journeying with Jesus during this season--mirroring in a way the 40 days that he spent in the wilderness before beginning his ministry. 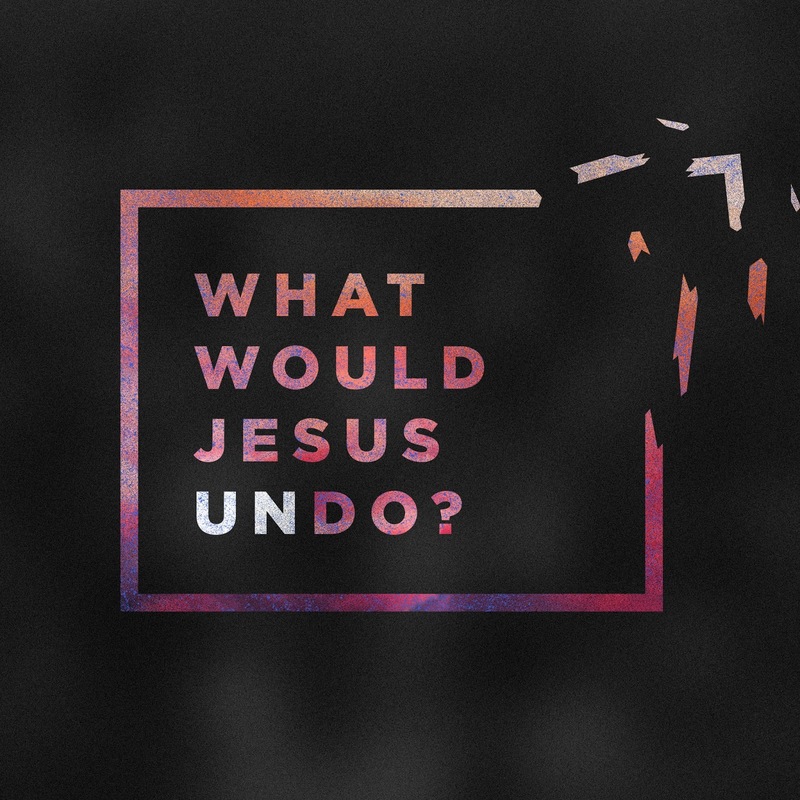 Throughout this Lenten season, we have been asking a very important question: "What Would Jesus Undo?" What does Jesus need to undo in our lives so that we can more fully embrace a life of following him? Today we're going to be addressing something that absolutely needs to be undone in our lives before we can truly follow Jesus with our whole selves: Indifference. Christians have become indifferent. And not exactly in the ways that you might think. 75% of Americans identify as Christian. But worship attendance and church membership are at an all-time low. Even among church-going folk, overall involvement is way down, and giving has plummeted. People who identify as regular churchgoers are barely giving over 2% of their income, which is another all-time low, lower... get this than during the Great Depression. Over 4,000 churches will close this year alone. And despite what the leaders of the so-called megachurches want to claim, most of their growth comes from migration from church to church. There aren't any new people flocking to become Christians. It's clear that most of us who call ourselves followers of Jesus have got better things to do than be a part of a faith community, volunteer in mission or give regularly to support the ministries and missions of our local parishes. How have we gotten to this place? How is it that a group of people who have the greatest news in the history of the world to share... are ho-humming their way to oblivion? It really does feel like Christians are bored, doesn't it? And so we dream up things to boycott or be against to liven things up. But really, we're just indifferent. I think there's a simple explanation: We've lost our sense of wonder. We've lost our ability to believe that God is up to new things. We've lost our ability to be amazed by the power of the Holy Spirit. There are amazing things happening around us. The Holy Spirit of God is up to incredible newness all of the time. But far too few of us Christian-types are paying attention. It's time to live differently, don't you think? I believe that Jesus can undo our indifference when we begin to see the new things God is doing. The passage of Scripture that we're going to be reading today comes to us from the Gospel of John, and this is a retelling of a story that also appears in Mark and Luke. I could spend a whole hour just talking about Mary's sacrificial moment here---taking an expensive perfume/ointment that was probably her dowry, according to some scholars, and pouring it at Jesus' feet. And can you imagine the scene here? She pours out the ointment, the smell fills the room. And then she undoes her hair and lets it fall on Jesus' feet. This is the moment when you all get a chance to do a little scratch-n-sniff to bring you imagination into it. I want you to take your wooden hearts that you were given and rub them in your hands and breathe in the scent. Close your eyes and imagine this scene. Judas sees this incredible display of devotion--something so extravagant and amazing. Scandalous. Shocking. New. And what is he focused on... "What a waste of money!" Judas missed the point... plus his heart wasn't in the right place no matter what he was trying to say. The fact that he was a thief indicated that he didn't care about the poor, he was just hiding behind religiosity. When you do a close reading of John 12:8 you see clearly that Jesus is not advocating for his followers to ignore the poor. In fact, everything that Jesus did throughout his ministry served to contradict such a belief. In addition to calling out Judas on his hypocrisy, what Jesus is saying here is that his time with his followers is short. Mary got that. She made the most of her moments with Jesus by showing her devotion, demonstrating that she was all in. And she did it in an unexpected and entirely new kind of way. This moment was an invitation to wonder. All of the tables of tradition got turned over. Jesus was doing something new and Mary recognized it, and reacted in kind. Mary's act of devotion should have drawn Jesus' followers into a holy moment, instead, it just left them uncomfortable. So this begs the question: Have we become so enamored with our own traditions, doctrines, ways of doing things that we can't see anything new? Have we been hiding behind our religiosity for so long that we aren't startled by the fragrance of wonder? Comfortable people tend to see the church as a quaint antique shop where they can worship old things as the substitutes for eternal things. So what do we do in order to have our indifference undone so we can begin to experience wonder? So we can begin to be open to the new things that God in Christ is up to all around us? It actually begins with an invitation--a standing invitation. Through the eternal Christ, the Logos, the Messiah, who was embodied in Jesus and lives and moves among us through the power of the Holy Spirit we are ALWAYS being invited into something new. Our indifference can be undone by the invitation of the Spirit to do two very important things. First, we are constantly being invited to experience wonder. The Greek word here is thambeo, which describes the state of being startled and astonished. The kind of wonder that thrills you to your very core, that makes you feel all shivery inside. But in order to experience this kind of wonder, you have to let go of all of your expectations of what God is up to and be willing to admit that there might be something new and amazing going on. Second, we are constantly being invited to experience another sense of time. We are so caught up in our ideas of time, the way we measure it, assume there is never enough of it... But the Spirit invites us to experience holy time which in Greek is kairos. This is God's time, time outside of time. This is where eternity happens--the moments you wish could last forever before you are jerked back into your own sense of time. And in order to experience this, you have to be willing to let go of your schedules, your timetables, and your busy-ness. Invitations to wonder and timelessness are all around us. The signs and symbols are everywhere. But most of the time we are rushing through our lives so fast, the signs and symbols become a blur or a fading image in our rearview mirror. What new things are springing up around you? What might God be trying to communicate to you through the Spirit of Christ in the world? Have you grown complacent in your faith? Indifferent to the new things God is doing? Jesus can undo our indifference when we begin to see the new things God is doing.